This giant, solar-powered, internet giving drone is ready to take to the skies. By far the most awesome router. Facebook recently unveiled the Aquila, a V-wing flying drone with the wingspan of a Boeing 737 ( almost 93 ft/28.35 m ), which the media giant plans to use to connect developing regions around the world to the internet, and gather a huge amount of likes in the meantime. As there are currently an estimated 5 billion people that don’t have any way to access the world wide web, Facebook hopes the Aquila will be its key to tap into a huge and lucrative market. The Aquila is quite large – huge compared to other drones – it is quite light, only weighing between 880 and 1,100 pounds ( 400 to 500 kilograms ) as the craft is meant to reach extremely high altitudes, above commercial planes and much of the cloud cover. 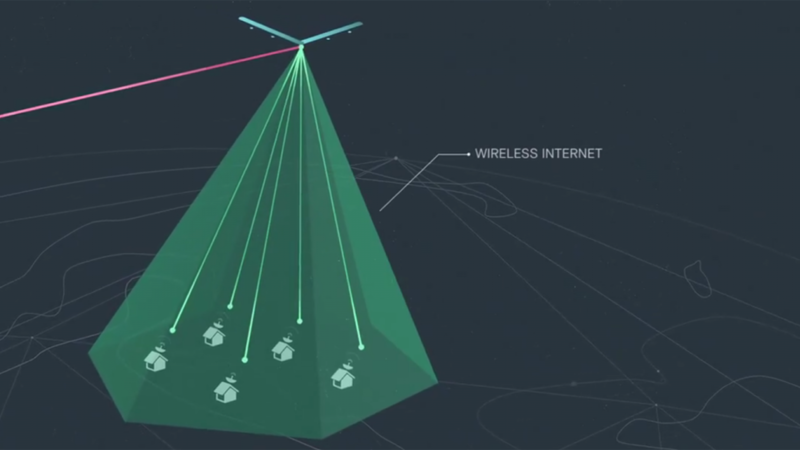 “When deployed, it will be able to circle a remote region for up to 90 days, beaming connectivity down to people from an altitude of 60,000 to 90,000 [feet],” according to Facebook. In order to conserve energy, the plane will lower its altitude at night when sunlight is not available to power the planes. In regions without Internet access, ground-based lasers will pinpoint the location of the nearest Aquila. The craft will move towards the signal, then determine the specific location based on the laser signal. Because the Aquila depends on laser communication via the sky, Internet service can become slow and patchy in bad weather weather. But Facebook is making great progress with lasers. The company has tested a system that delivers data at the speed of dozens of gigabytes per second, much higher than the current technology in use can deliver. The Aquila drones are designed to stay airborne for up to three months, far longer than the current record of two weeks. 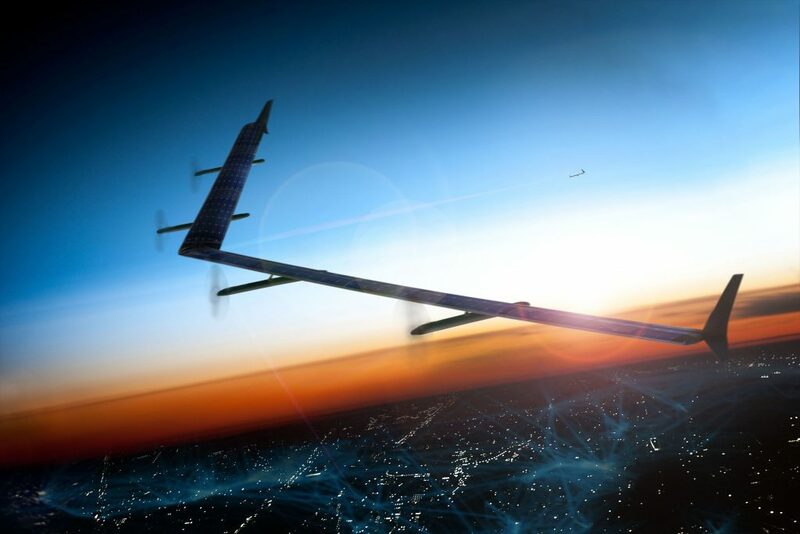 To enable such a long flight, Facebook has equipped its autonomous plane with solar panels, which cover the top of the plane’s body. The company hopes that this longevity will allow for the creation of a resilient network of Internet-transmitting planes. In partnership with local carriers, the Aquila could play an important role in finally opening the world wide web to the whole wide world.